The murder of nine blacks at a Charleston church by a self-proclaimed racist has renewed calls for South Caroline to get rid of the Confederate Battle Flag as it’s State Flag. 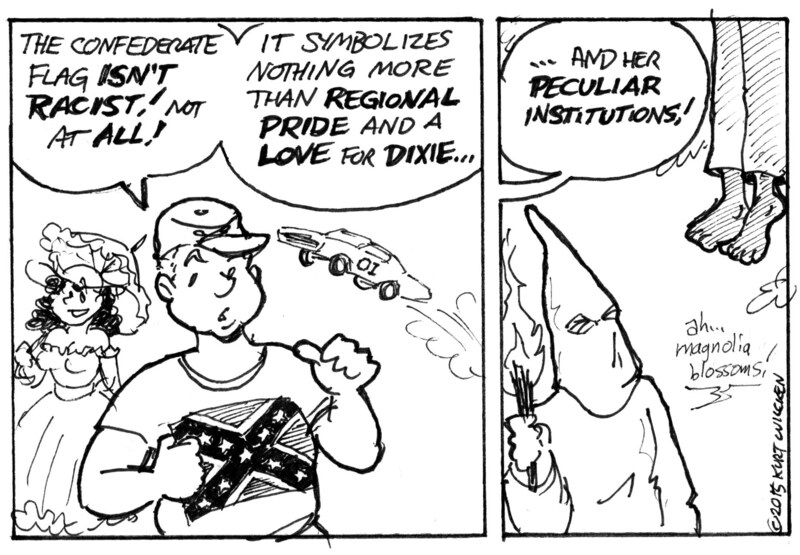 Defenders of the Stars and Bars insist that it is merely a symbol of Southern Heritage and not racist at all. Non-history geeks might miss the reference, but “Our Peculiar Institution” was a euphemism used in the South for slavery during the pre-Civil War era.